To contribute towards the reduction of pollution in and around Mumbai and beyond. 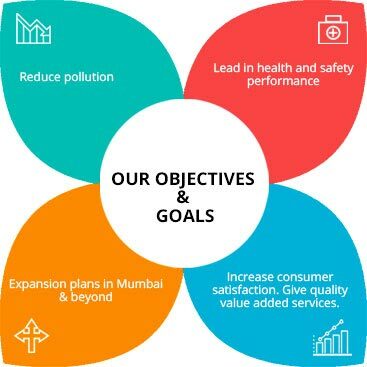 To continuously increase the level of consumer satisfaction and provide quality value added service. To be a leading company in health and safety performance. To expand the area of operations in Mumbai and beyond.